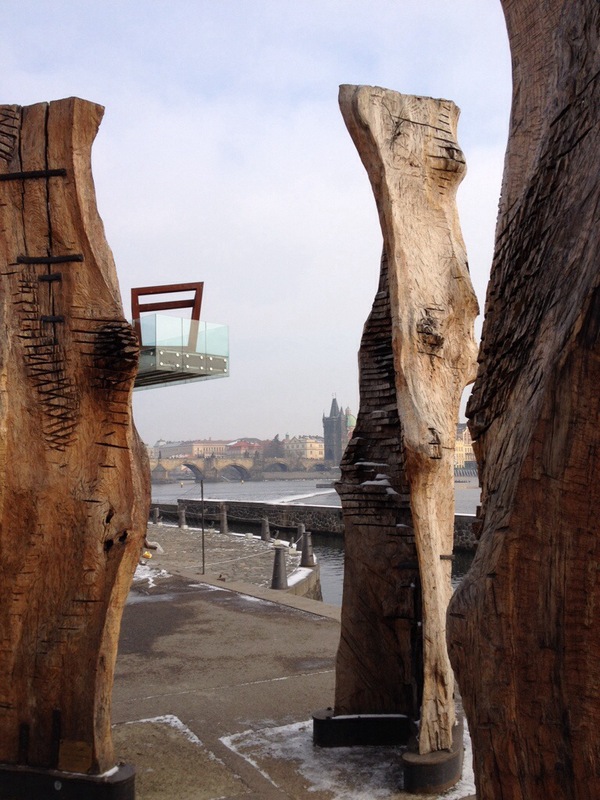 View through the Kampa Museum sculpture garden in Prague. 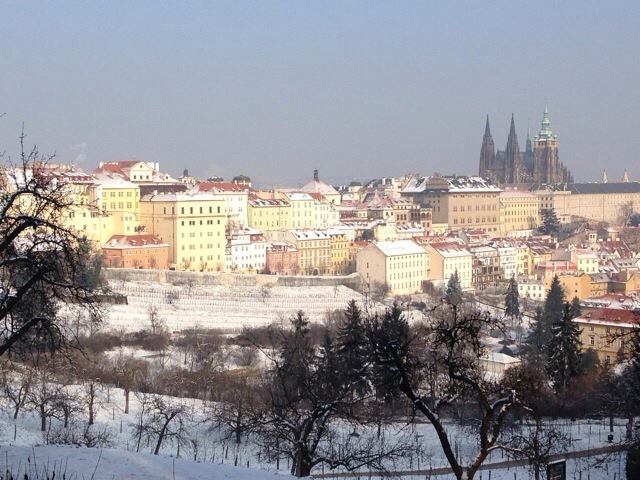 Prague in January? Indeed- but this information will serve you year-round. It begins with six travel essentials for your beery trip, followed by seven must-visit beer destinations. And an Absinthe finale. 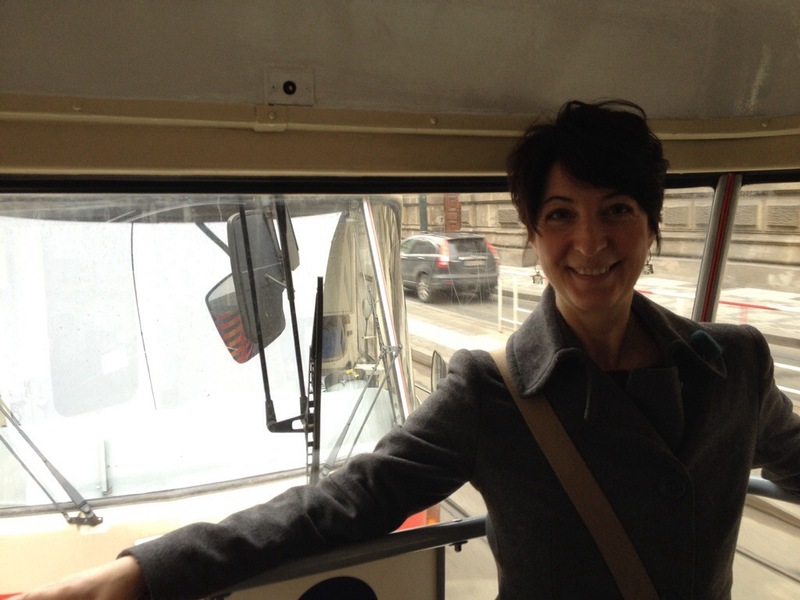 The tram system is such a central part of any Prague adventure that we started re-naming the lines according to our destination drink. For example, we started calling the 14 (which happens to be green on the tram map) the Absinthe Line, as it was consistently the link to our favorite Absinthe bars. The 22 became the Monastery Line because it goes to Sv. Norbert and Klášterní šenk. The red line of the Metro became the Bookend Line because both ends have worthy brewpubs. We used the 7, the 9, the 13, the 11, the 6, the 4, the 24, the 18. I’ve been on them all. And off. And on. And off. 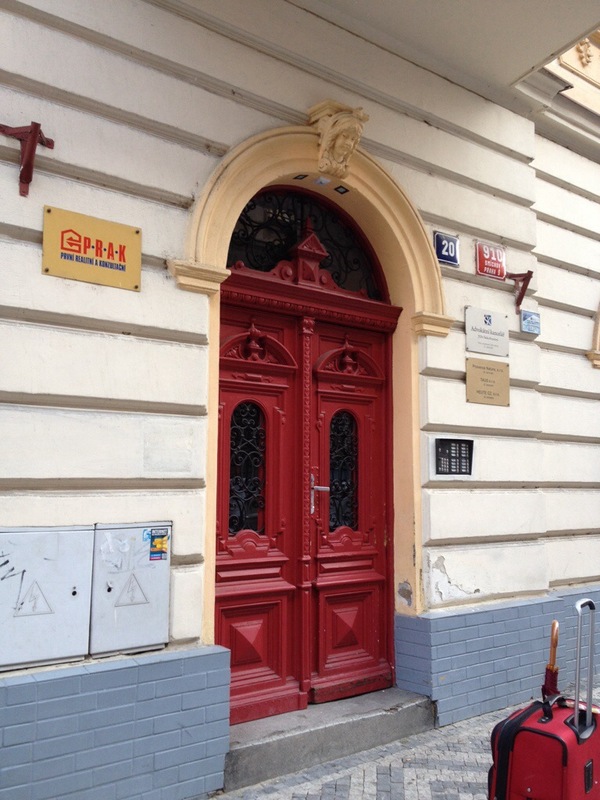 We rented an apartment through HomeAway.com, which I have used many times to book trustworthy, hassle free, flexible, convenient apartments in cities all over the world. They cost less than hotels, provide fridges and sometimes full kitchens and terraces, and are usually in the heart of where real people live- which is part of the experience of travel that one cannot buy. 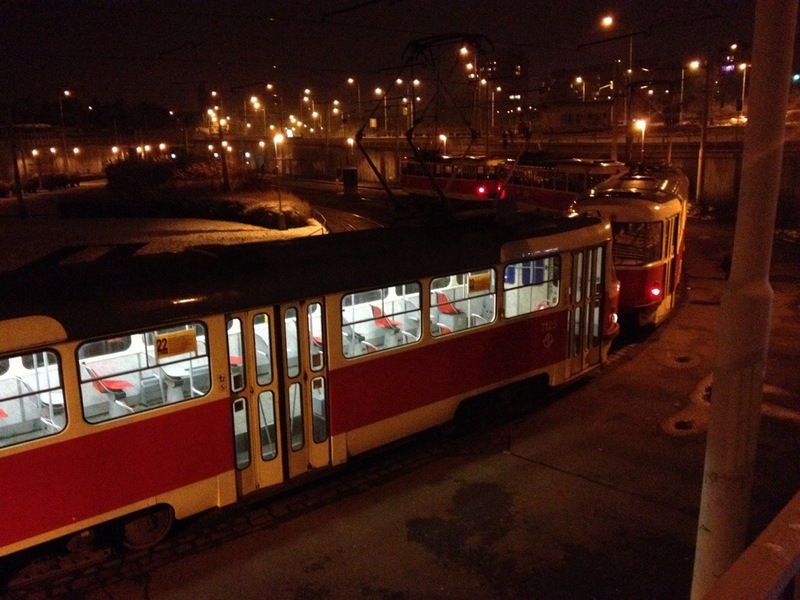 We chose a neighborhood called Andel which is centrally located near Prague’s many trams and the Metro’s B Line, has hip local bars, and is not in the expensive tourist area of the Old Town Square. 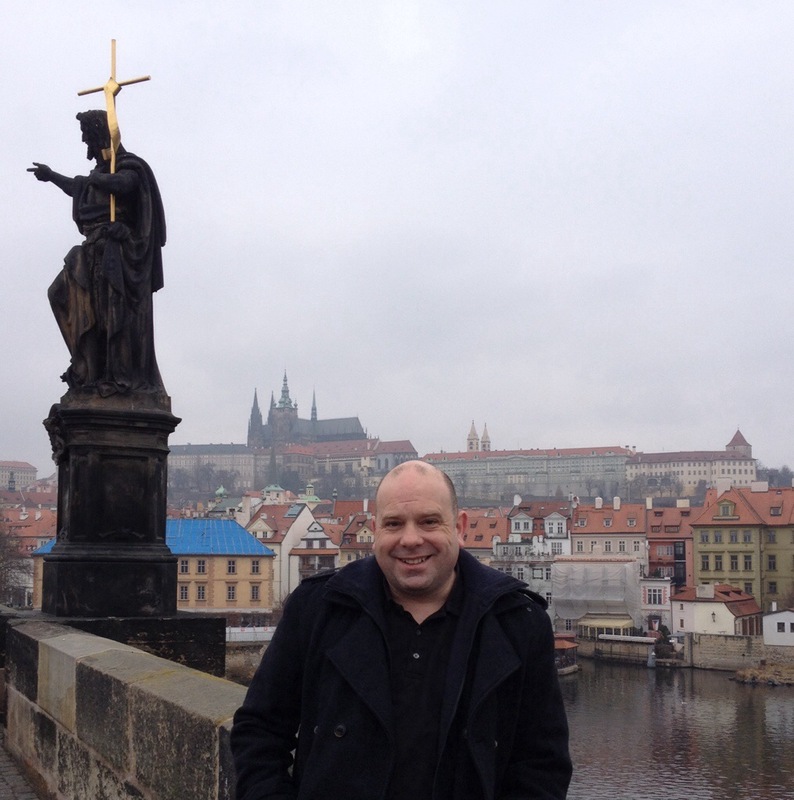 I walked to the pretty center of Prague one morning by following the Vltava River at the end of my block – it was a quick and scenic 20 minutes. Some bars allow smoking, while others ban it. As stinky as it is, just go with it. Yes you will have to fumigate your clothes afterwards. Your eyes will water. A haze will develop against the ceiling at the end of the night. 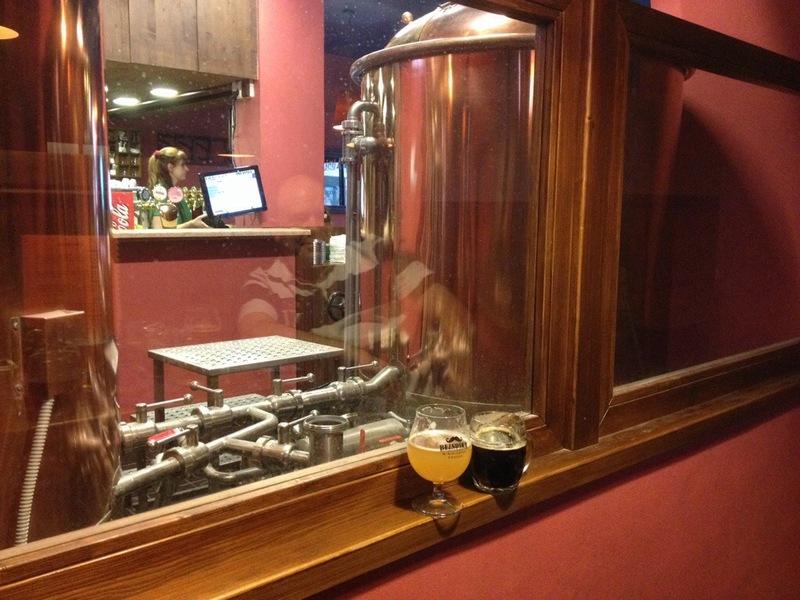 But there are some places where you will have to tolerate smoking if you want to try the beer. And the beer, with very few exceptions, is worth it. The pace of smoking becomes rather frenzied as the evening goes on- so plan to visit bars that allow smoking early in the day to get as close as you can to avoiding it. Use an offline-capable app that you set up with all your stops ahead of time. We used Ulmon, and it was a lifesaver in the cold wind of January, often showing us we were just around the corner from our destination- although we would never have guessed it. Make the most of technology! 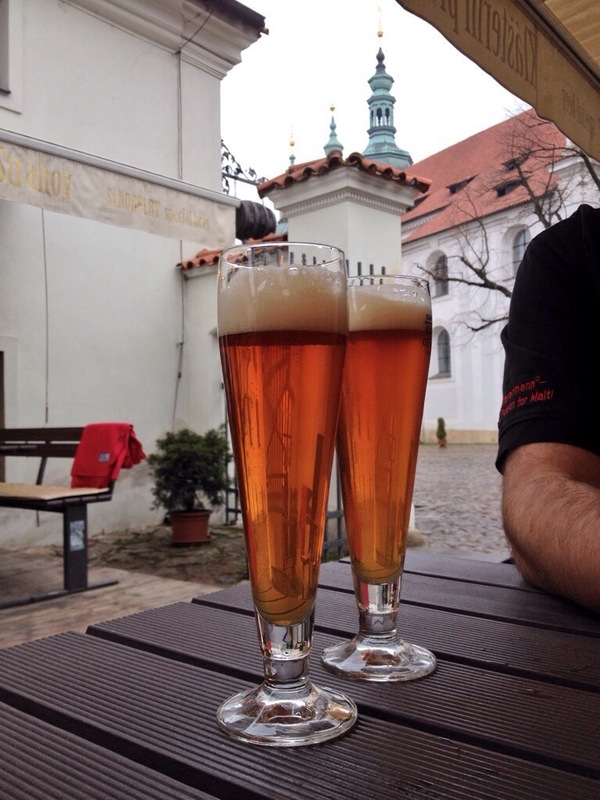 After taking the funicular tram to the top and walking across the hill with a gorgeous view of Prague on our right, I wasn’t sure if the warm liver dumpling soup and St. Norbert IPA we had upon arrival at this brewery were actually as good as I thought or if my mind was being toyed with by the view, the church bells ringing, and the thrill of sitting outside yet toasty in January. Nope. The soup and the beer were that good. 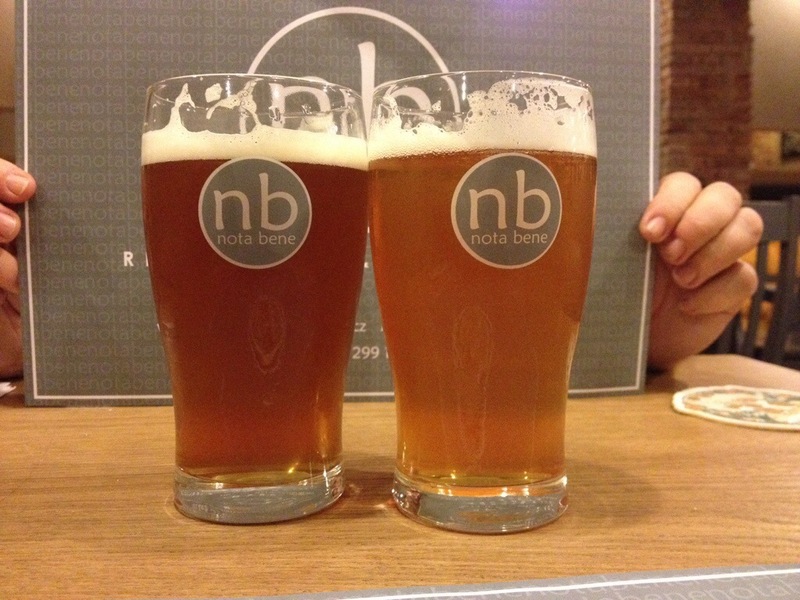 Even though it was one of the first beers we tried, day after day, pivo after pivo, we kept comparing our latest beer to the Norbert IPA. The Norbert won every time. I’d put it next to any IPA I’ve ever had, anywhere. We went back on our last day to have it again, and it lived up to our elevated expectations. Plus the kind people at the brewery gave me a bottle of off-menu Black Lager when I told them how much I liked the IPA. (They didn’t have bottles of the IPA). 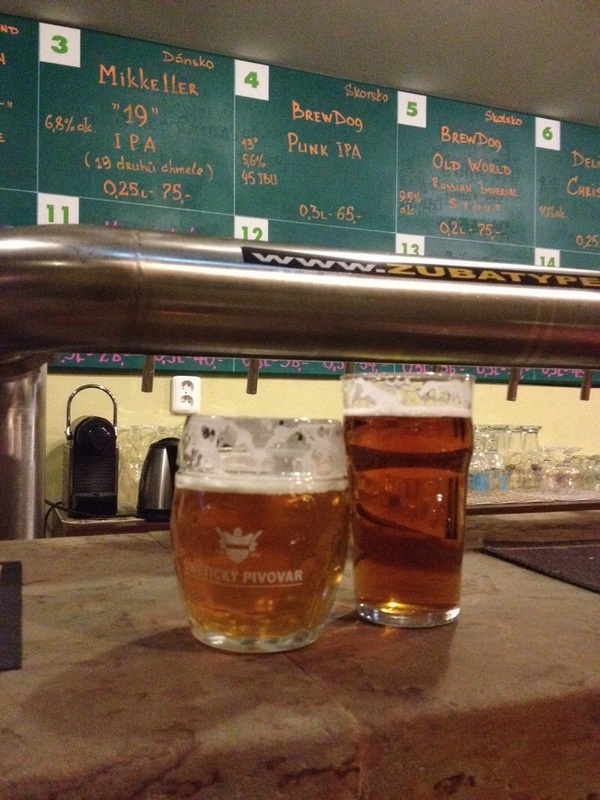 If you can only go to one brewery in Prague, make it this one. The other beers are also good, the food is excellent and not too heavy (the dumplings in the soup were tiny- just a hint of flavor in the rich broth) and the setting is a lovely place to sip beer. It has it all. 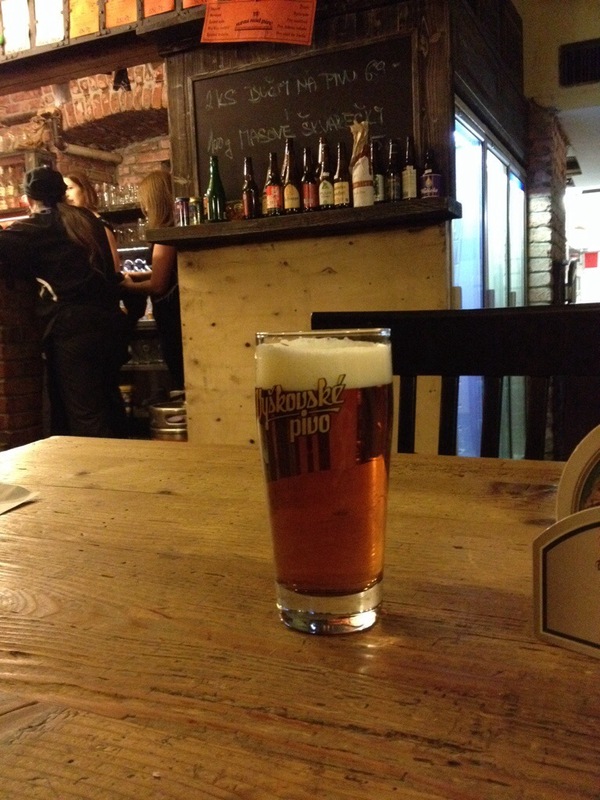 Brewer: Jan Martinka. GM: Lukas Bakule. Tram directions: The 22 to the funicular tram (It’s part of your tram pass- don’t wait in line!) At the top, head to the right behind the big tower (walk up for the view if you like) and continue to the monastery. When you’re done, head through the gate (away from where you came in) to the road to catch the 22’s next stop- no need to retrace your steps back to the funicular. 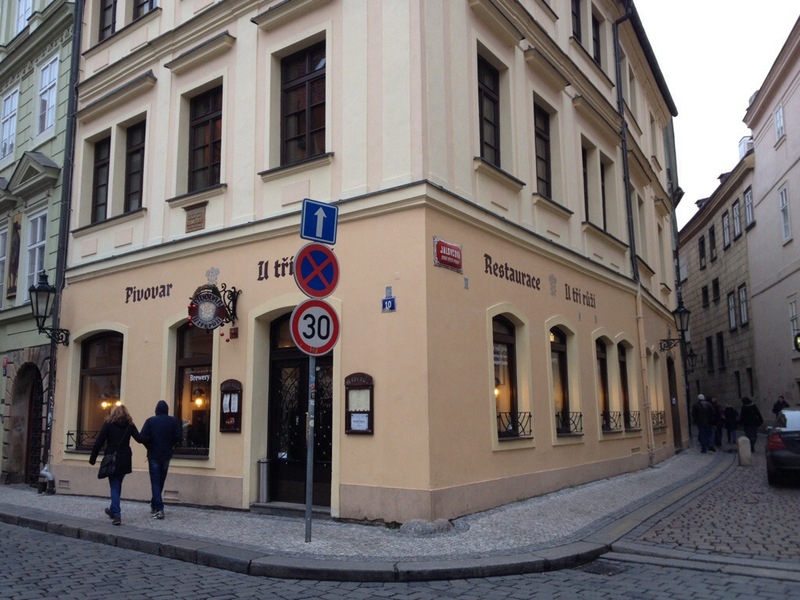 As a study in contrasts, the next best beer (or to be accurate, six beers) I had in Prague were in this hideous green building, in a residential neighborhood, off the Proseik stop of the C/Red line of the Metro. Just as we had been walking for a while in a residential neighborhood and it was obvious that Stuart had his directions wrong and I was preparing my, “Hey don’t worry about it- not every wild goose chase ends in good beer” speech- we walked by this eyesore sporting a giant mustache with the word pivovar painted on the outside. Apparently, we had arrived. The menu had six beers, all with Czech explanations. 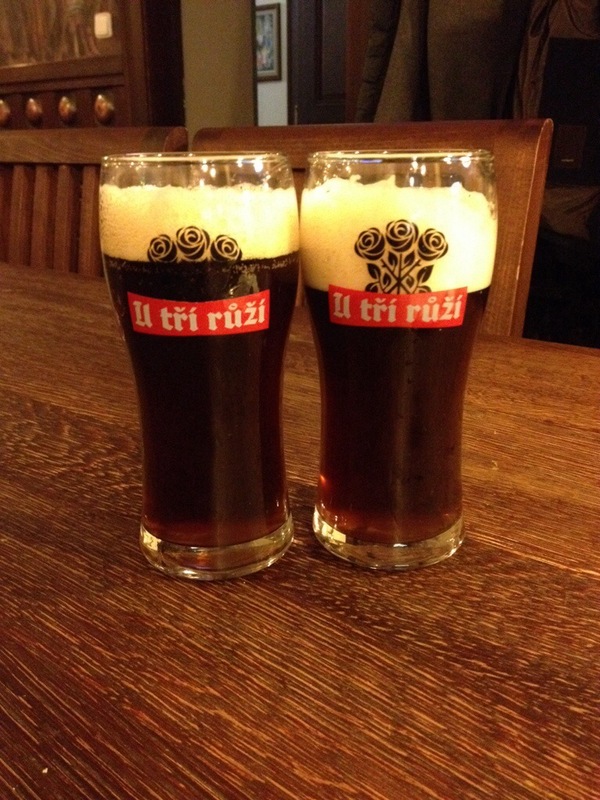 Beznoska, Klicak, Hejhula, B-Ale, Weizenbock, and Stout. I thought I had ordered each of us a sampler, but what the nice young lady brought instead were twelve half pints of beer. One of every beer, for each of us. I knew we were going to be there for a while. We both respect the brewing craft too much to leave beer in a glass unless it’s completely undrinkable. All the same, I was looking around for a plant to dump some beer in just in case. And then something amazing happened. I sniffed the first one. I looked up at Stuart with my nose still in the glass. His expression after tasting his own beer was “what the …. ?” We kept drinking. We couldn’t believe it- beer after beer after beer- delicious. Clean. Balanced. Well conditioned. 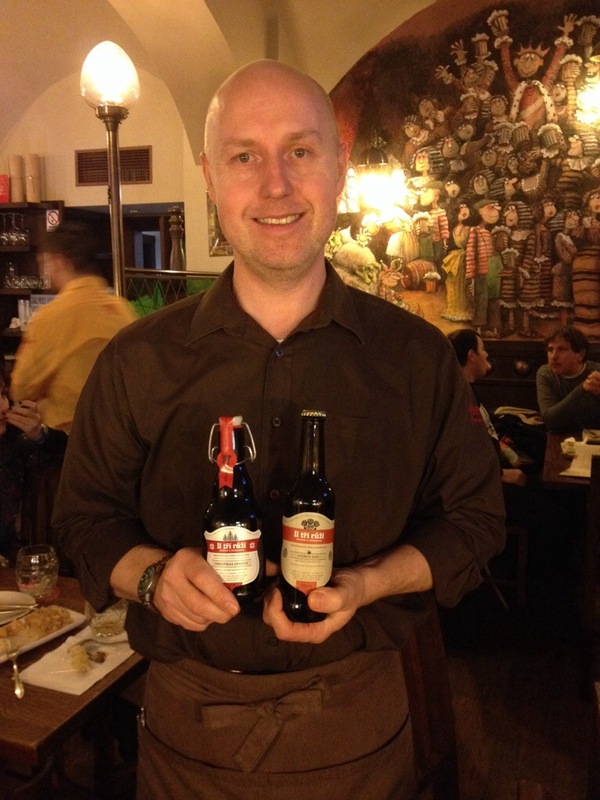 Stuart still says the Weizenbock is the best wheat beer he’s ever had. 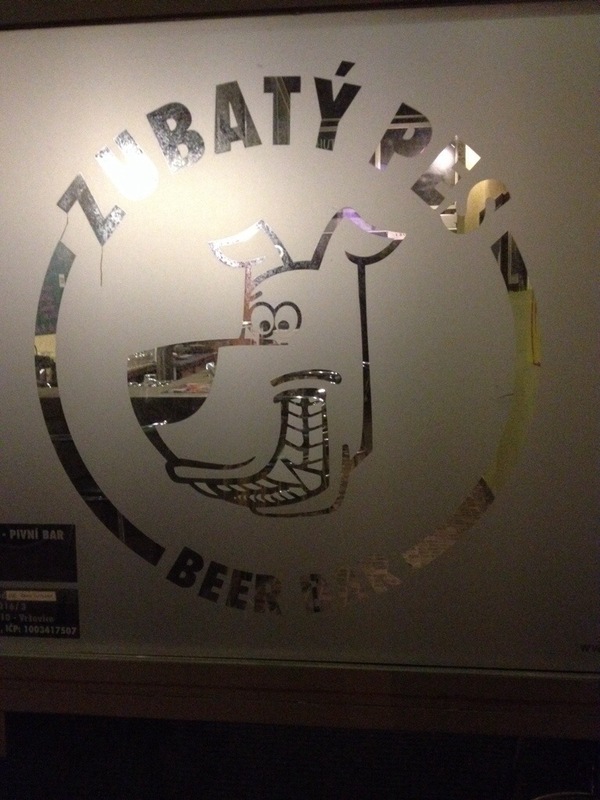 The beers were top notch, and to be taken so completely by surprise was quite delightful. Our bill was shy of $10. If you’re someone who really hunts for tasty beer and isn’t afraid to leave the known path, definitely add this to your list. Take the C/Red Line of the Metro to the second to last stop, Proseik. After that, you walk through a residential neighborhood. 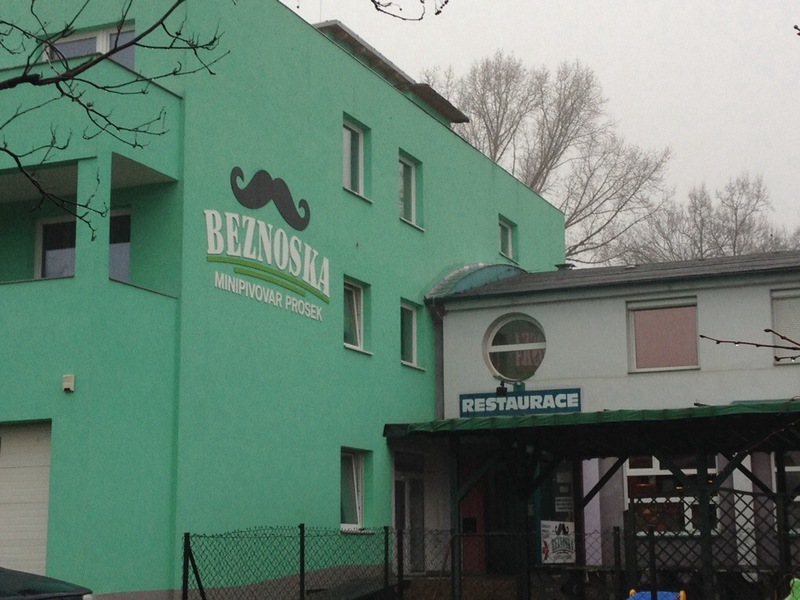 When you are certain there is no way a brewpub is anywhere nearby and you see a hideous green building that is shaped just like all the others- you found it! One of many fun things about traveling with a chef is that they get excited about things others might miss. Like red cabbage. Our wonderful server, Thomas (above, and pronounced “Toe- mosh”, I think) got the recipe for us. Caraway is the secret! It’s in just about everything in Prague, but it does something amazing to red cabbage. It also helped that duck had been braised in it. My rabbit leg confit with risotto was fantastic. Is rabbit leg confit cooked in rabbit fat? just wondering. 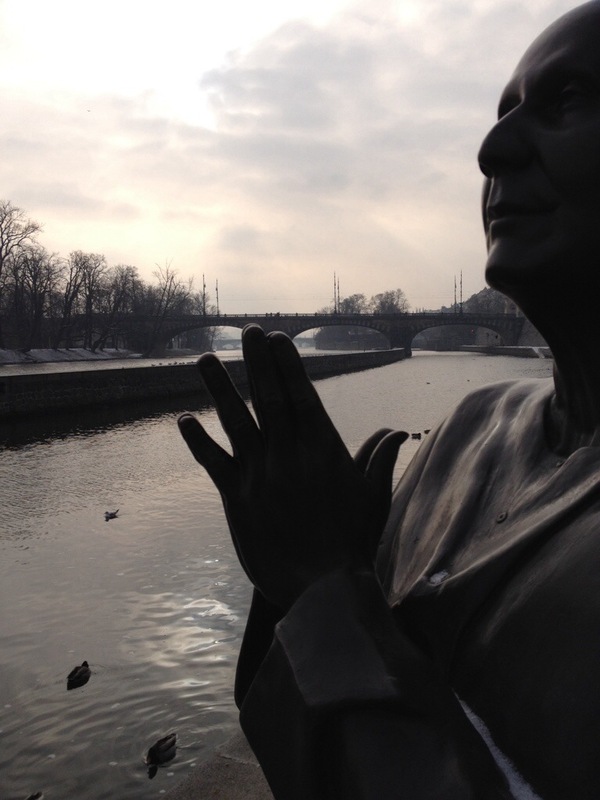 Being in the lovely center of Prague, The Three Roses has certain benefits. English menus with the wifi code printed on the bottom. Proximity to cobbled streets with charming puppet and absinthe shops. Super souvenirs, like the burgundy curved handled umbrella with a discrete three rose logo on one panel that I hand-carried back to the states. And fresh beer. Three Roses offers six beers, and we both preferred the pilsner and the dark lager. 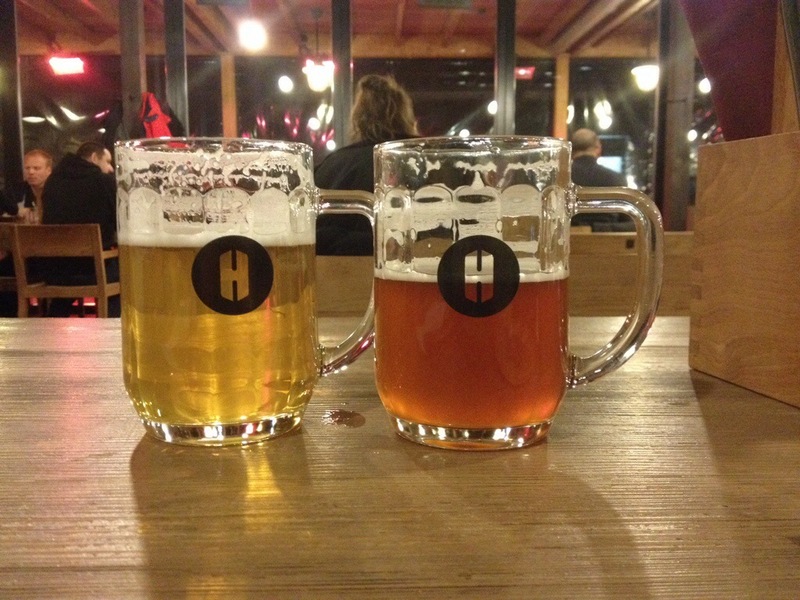 Truly exceptional examples of beer syles that can be found all over Prague. That, plus excellent food (we had three meals in nine days here), a warm and welcoming atmosphere, and funky artwork made it a repeat destination that never disappointed. 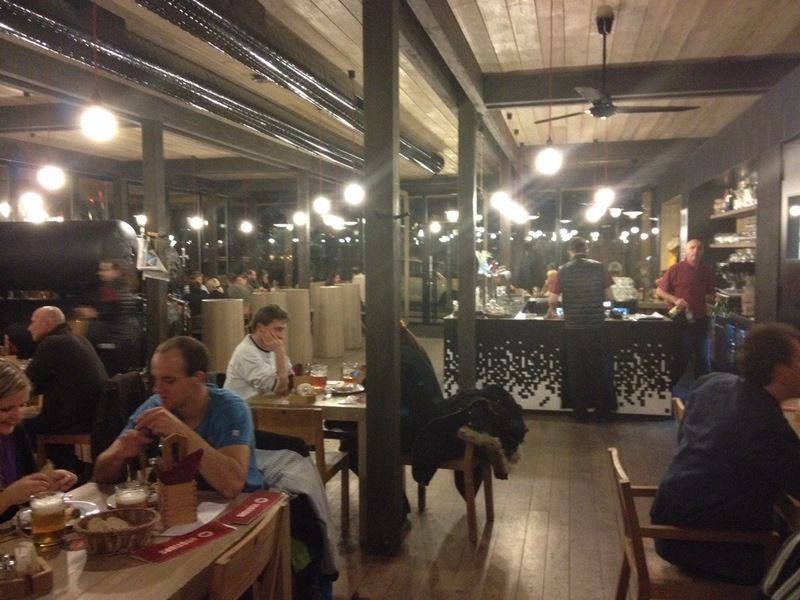 Especially on the days we took trains out of town in search of remote breweries, we were so happy to return to the cozy atmosphere of this place. The Green/A and Yellow/B Metro Lines meet at Můstek. It’s nearby. Forget the silly dog cartoon. On the outside, this place looks like someone tried to spiffy-up a garage. 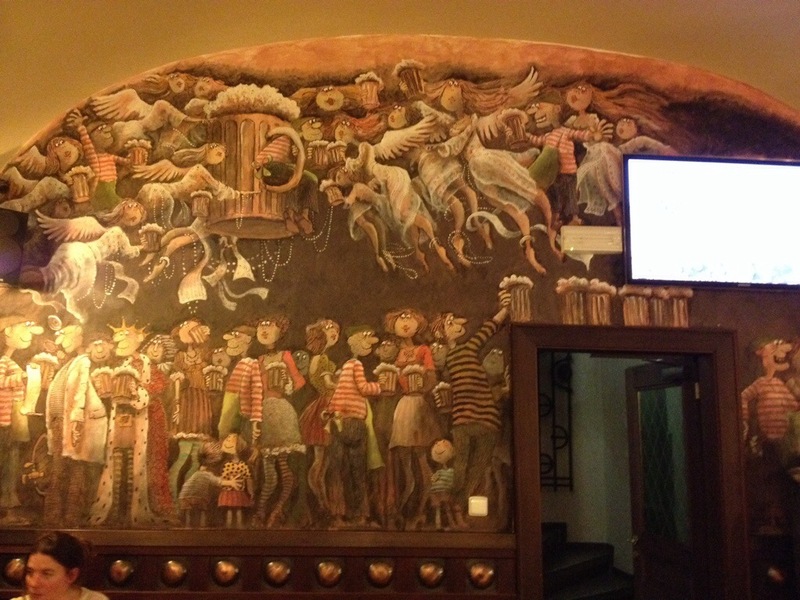 Inside is stark white with some whimsical paintings. 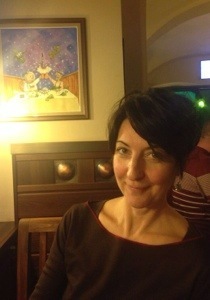 Ignore all that and focus on the chalk board behind the bar. Oh my- a serious craft beer bar. Many of the beers they carried I can already get in the states, but one local beer stood out: Falkon Stalker IPA. We were gushing over it when the bartender told us the brewer had just left. Ugh! I didn’t get a lot of pictures, but you see where it is in the lineup. 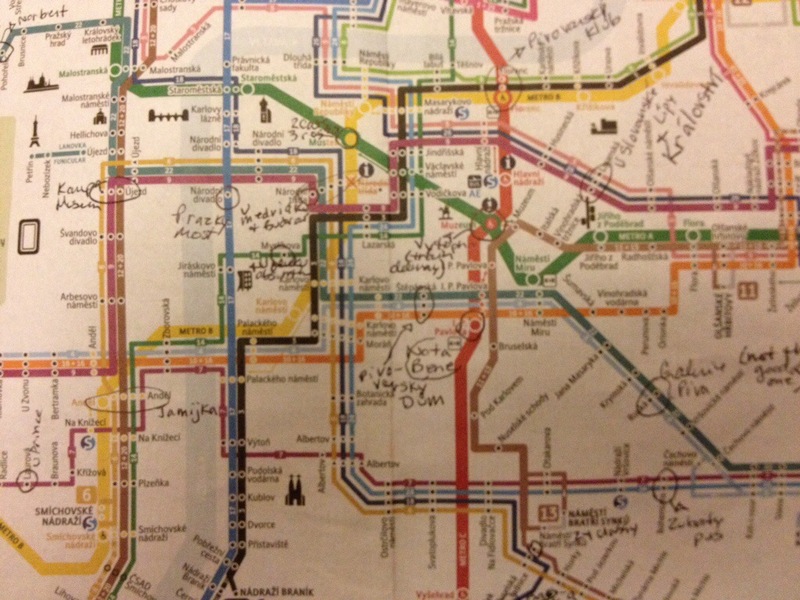 Take the 7 or 24 Line to the Bohemians stop. 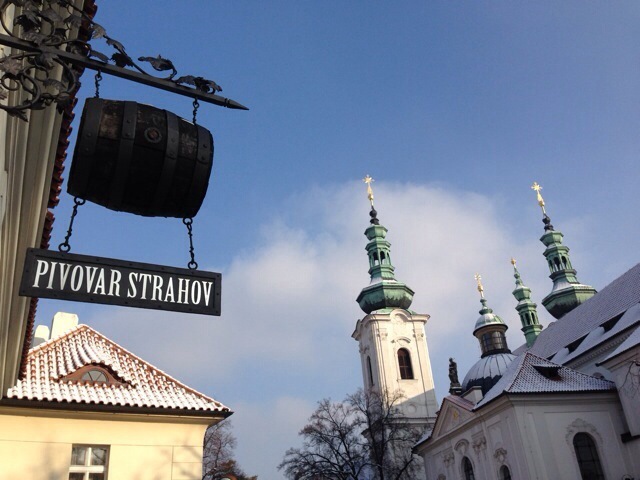 The name is a play on words connecting the neighborhood to the Czech word for brewery, pivovar. The young owners proudly announce on the English menu, “no pasteurization, additives or filtering.” Super! And all four beers offered were just that. The Světlá Třináctka was especially quaffable. When I return, I’ll eat more. I only had room for the creamy potato soup with porcini mushrooms, but it promised an expert command and creative touch in the kitchen. This is what the end of the tram line looks like. To get here, you have to take the 22 or 26 tram lines to the end and then take the 125 bus (stay with me now) two stops to Hostivar. Trust me, it’s not as bad as it sounds. I did it on a cold night in January! You will be glad you did. 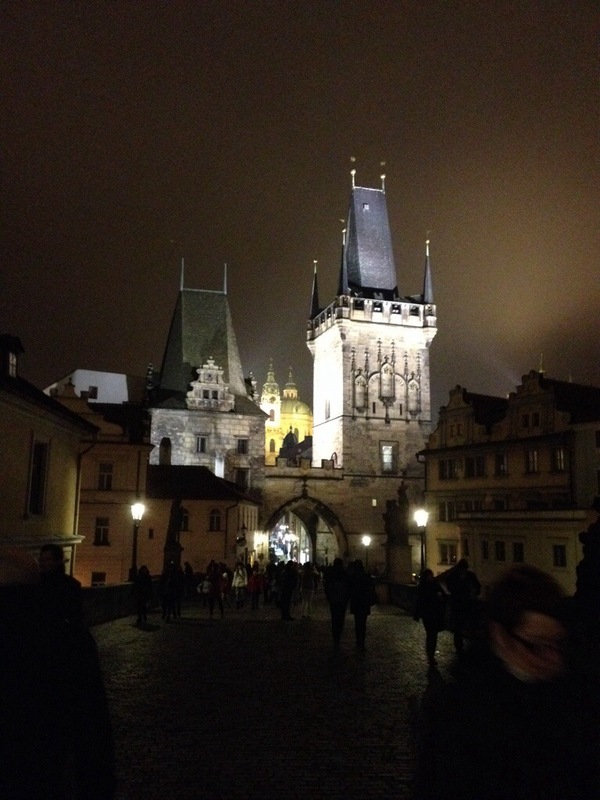 I took to calling this place “The Classy,” combining my first impression with my poor attempts at the Czech language. It’s sort of the Blind Tiger of Prague. It has a cult following, but locals go here too. 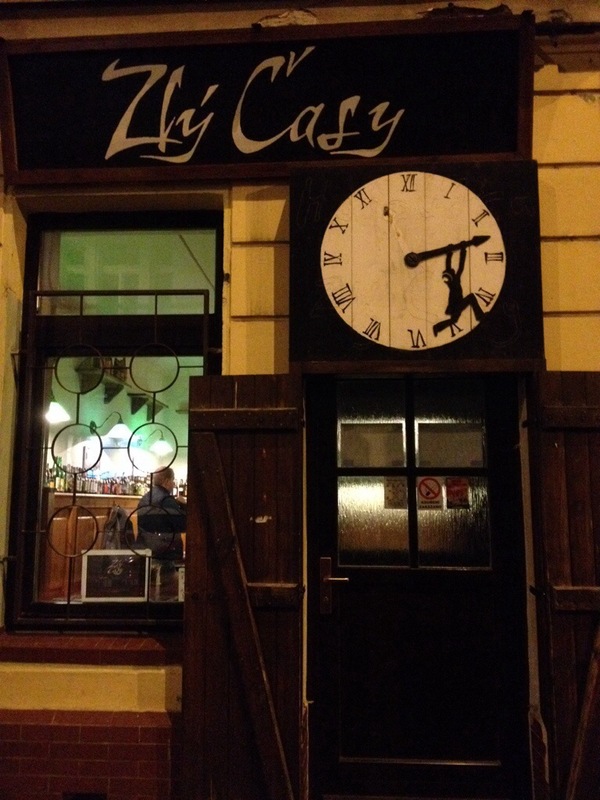 They carry plenty of international craft beer (the downstairs bar must have just had a Mahr’s night…) and lots of Czech craft as well. We didn’t have to read the menu to order food- we just pointed to the cutting board loaded with aromatic meat in front of the group next to us and asked for one. Fantastic! 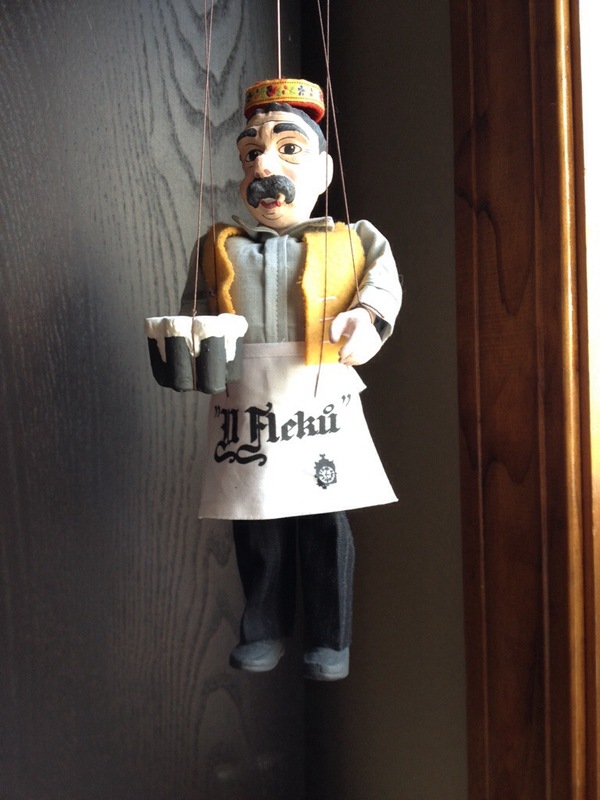 Plus they rescued my U Fleků puppet. Long story. Take the 11, 18, or 6 tram lines to Náměstí Bratří Synků. I almost didn’t mention this little gem because by this point in the trip we’d become so accustomed to excellent food, craft beer, and warm environments that it didn’t stand out at the time. But this place keeps coming back to me, and it has worked its way from the boot of my memory to the front seat. 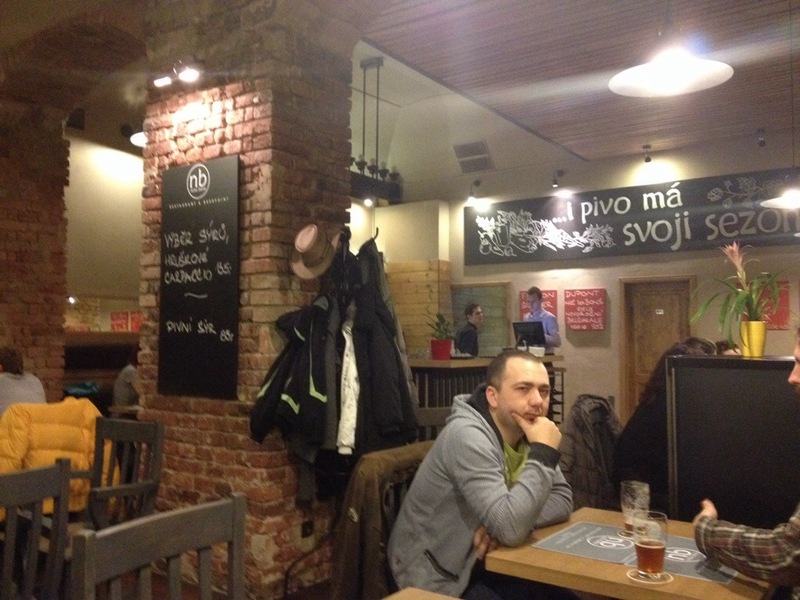 The beer cheese was the perfectly pungent, and we had an excellent IPA called Matuška Raptor. They had two Falkons on tap, too. Impressive! Red/C line Metro to I. P. Pavlova. 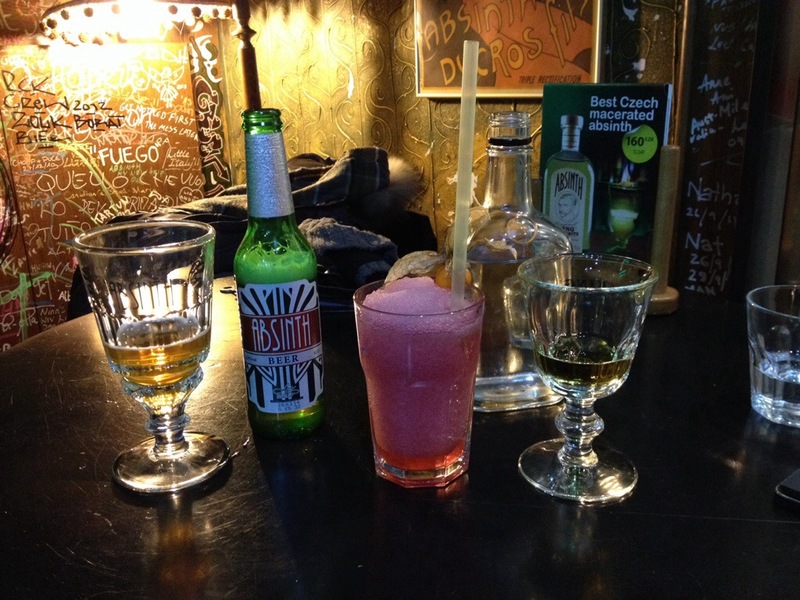 Absinthe beer, flaming sugar cube (also called Czech style), and slushies- from a frozen Absinthe machine. We had it all.